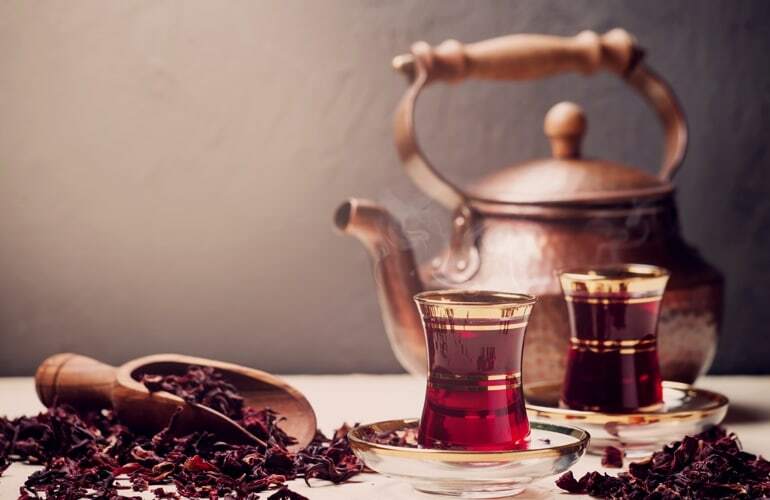 Located between Africa and Asia, Egypt is not only famous for the stories of the queen, of the pharaoh with majestic pyramids, but also for a very diverse culinary background. Egyptian cuisine is an intersection of the Mediterranean. The influence of the cuisine from neighboring countries such as Turkey, Lebanon, Greece, Iran and some other countries has created an uniqueness Egyptian cuisine. Let's explore the traditional dishes of this pyramid country! 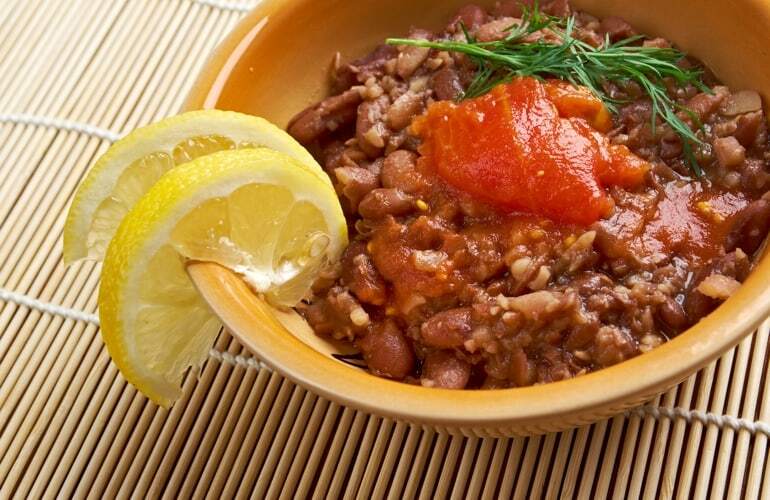 Ful Medames is one of the famous dishes that you must taste when traveling to Egypt. This dish consists of lava beans cooked with spices, olive oil, garlic and lemon juice. This dish is often served for breakfast with a variety of spices such as butter, tomato sauce, parsley, fried eggs and pastrami. You can find this dish at any time of the day in local authentic restaurants. 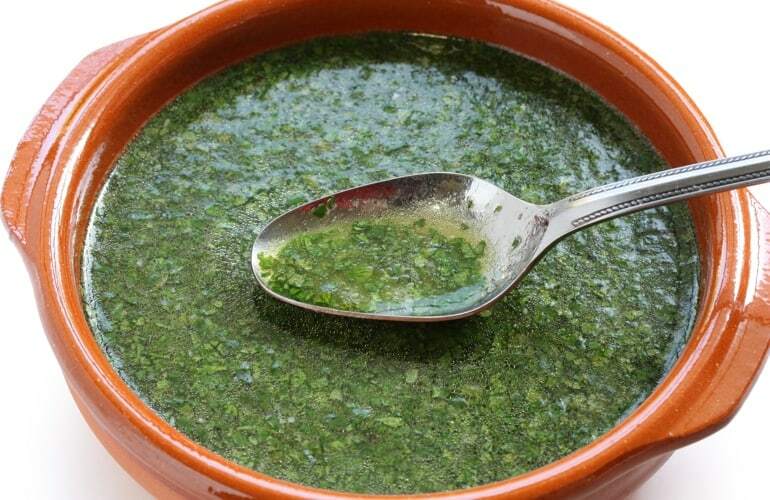 Mulukhiya is a soup made from the leaves of the mallow - a famous vegetable in Egypt, with chicken or rabbit meat, combined with coriander and garlic. Depending on the taste of some Egyptian families, they can use different kind of meat such as beef, lamb, even fish or shrimp for this dish. You can eat it with rice or bread, and if you want to add more flavor, a little vinegar or lemon juice is a good choice. 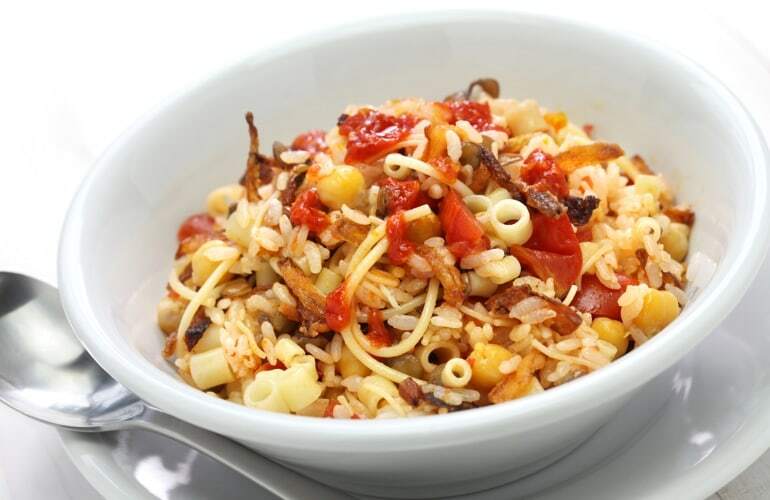 Koshari is considered as the national dish of Egypt. It is a fast food with a perfect combination of pasta, rice, vermicelli, black lentils, green beans, fried onions with a layer of sauce of tomato and garlic on top. Up to present, it has become the most popular lunch in the Pyramid country. Fatta is often served for religious occasions such as girls' first birthday, Christian holidays and Islam festivals. 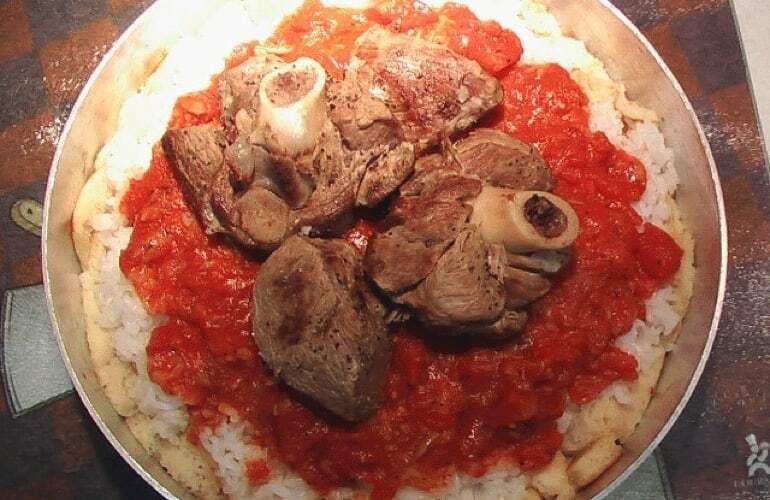 This dish consists of layers of fried bread and rice, topped with tomato sauce, vinegar and garlic butter. Then you can eat it with stewed beef, veal, lamb or fried eggs. This is one of the most famous dishes in Egypt, pigeons are stuffed with rice or green wheat, then fried. This is a delicious and nutritious food that you will definitely remember its flavor once you taste it. You can buy this dish at high-end restaurants or at the entrance to Khan El Khalili Market in Cairo. This is a cheesecake served with sugar syrup. Konafa is made in so many ways but the common way is like making toast, rolled in liquid state on the plate until it becomes dry and stiff. Then, it will be covered with tiny tear flesh, butter, cream and fruit sauce. 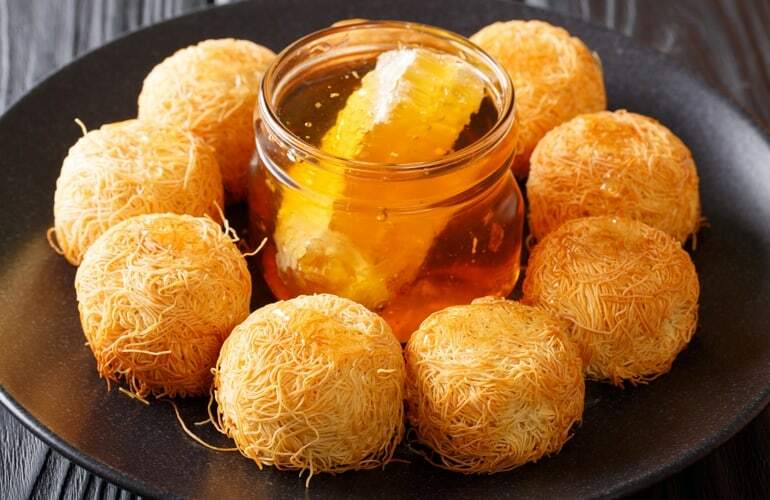 This is a special dessert not only of Egypt but also of the Middle East. Umm Ali is made from layers of bread soaked in milk, added some raisins and nuts, then baked until the surface is browned. 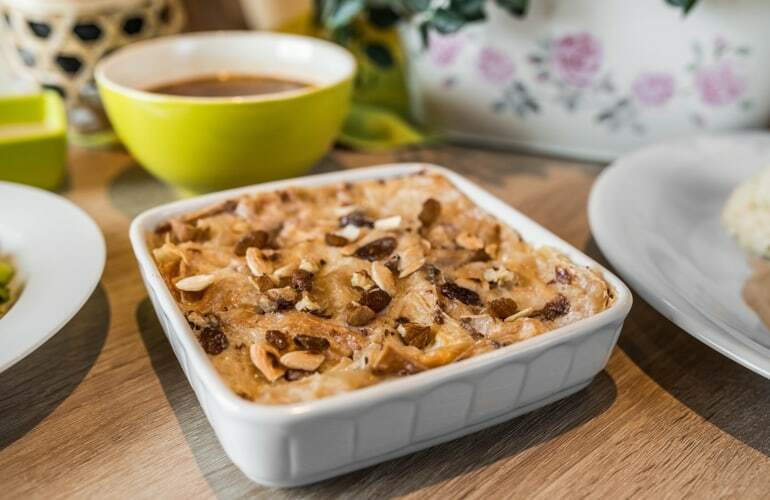 The combination of flavors from milk and raisins create a delicious dish. Baladi in Arabic means life, this is an indispensable dish in every meal of the Egyptians. In fact, more than 60 % of the Egyptian food are eaten with it. 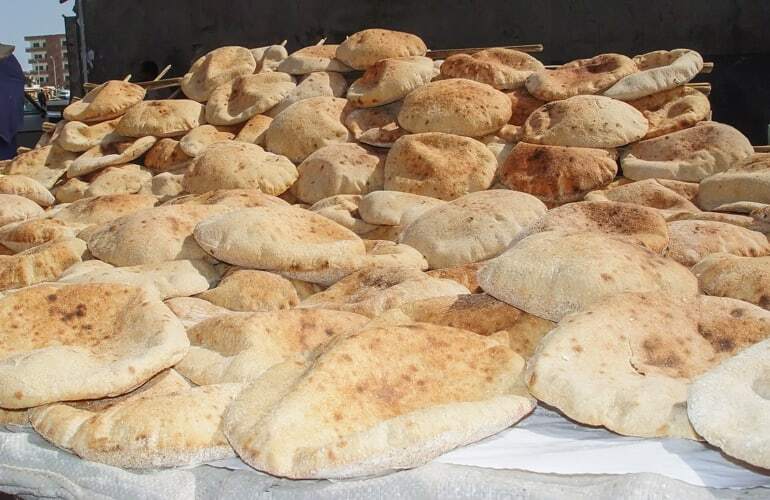 To make Baladi, they bake the mixture of wheat flour, salt, and water. You can find it everywhere from the street vendors to the big supermarkets. It is a purple drink made from dried red hibiscus flowers. After boiling, it will be cooled down with some added sugar. It has a unique taste with the combination of slightly sour and sweet. This kind of drink provides plenty of vitamin C and minerals that help you to fight high blood pressure.